Is a little anger really a bad thing? Are these really the solution? I am an angry mother. My son was unplanned. I had to completely rewrite my career plans when he came into our lives. I never in a million years thought I would ever be a stay-at-home mom. Change hurts, especially when that change runs counter to our plans. But it is through the hurt that we grow. The change makes us better people. My little change brought me to my position at Feminists for Life. It has given me the opportunity to chase my childhood dream of writing. He has taught me patience, endurance, living for the moment and enjoying the little things. Anger allows us to grow and is usually a good indication of where we need to grow the most. I’m sure the article comes from a place of pain from being called by her mother “her final mistake” and seeing the vocation of motherhood vilified in her childhood home. However, even now, 50% of the children who survive the womb were unplanned. I think that our silence about that is a sin. We’re all worried about our kids being labeled as unwanted and ourselves being labeled as irresponsible. Instead of being worried about our own self-image, we need to be worried about our children’s classmates who will never see the light of day. 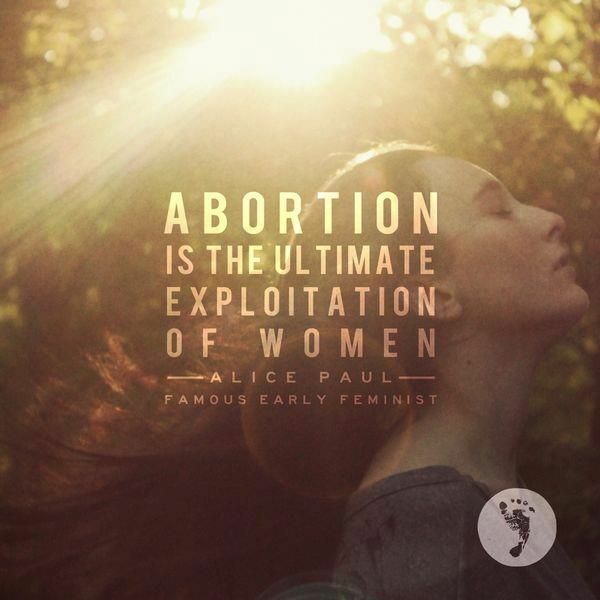 I would bet everything I own that for every woman entering an abortion clinic today, there is at least one mother in the world that was in her exact shoes and chose life. We need to shout our stories from the rooftops so these women know they are not alone. My name is Bethanie Ryan and I had an unplanned pregnancy a month into my marriage while I was still in college. My son wasn’t planned by me, but, more importantly, he was planned by God (fate, destiny, whatever you want to call it). Abortion and contraception aren’t the solutions to lack of community support, poverty, abuse, and the disrepute of motherhood. A woman who has an abortion is still going back to her previous impoverished, abused, lonely existence. A woman who pops a pill doesn’t learn to understand and respect the cycles of her body. We need to learn the art of being neighbors. This is all the more important in an economy that seems hell-bent on tearing families apart as people travel to find work. We need real solutions to poverty. No woman should have to choose between a job or education and her child. We need to be more aware of abuse in our communities and make substantial steps to protect abuse victims. The vocation of motherhood has rightfully been taken down from it’s pedestal as the end-all and be-all of womankind. No woman should be held as less than for not having children. Motherhood, however, does deserve a better place. There are few fish to fry bigger than creating and nurturing the next generation. “Smart”? Many stay-at-home moms are college-educated like me. The current solutions of contraception and abortion lead to nothing more than more pills and more abortions. We need to look for real solutions to the pains of unplanned pregnancy, not quick fixes that don’t actually fix anything. And those solutions are certainly the last thing anyone needs to be celebrating on Mother’s Day. This summer, it came to the media’s attention that some students coming from South Africa who have earned government scholarships to go outside of the country to go to school were essentially forced to be injected with a long-term birth control device. While this story was all over the news in the region, some people declared the story to be pure sensationalism, full of lies. Others justified the idea by pointing out that the tax-payer is giving them money to go to school and the tax-payer deserves a return on their investment. Still others mentioned that the scholarships are only for a specific period of time and taking time off to have a child would royally mess up the system. Nonetheless, just this week this story came up again, as more students left to go to school in Cuba and the government had to specifically say that “the health department had not prescribed contraceptives for those who were awarded bursaries.” (“Bursary” is basically the British word for “scholarship.”) The students were warned not to get pregnant. Source I’m not going to talk about a slippery slope, as tempting as it may be. I’m not a fan of slippery-slope arguments. 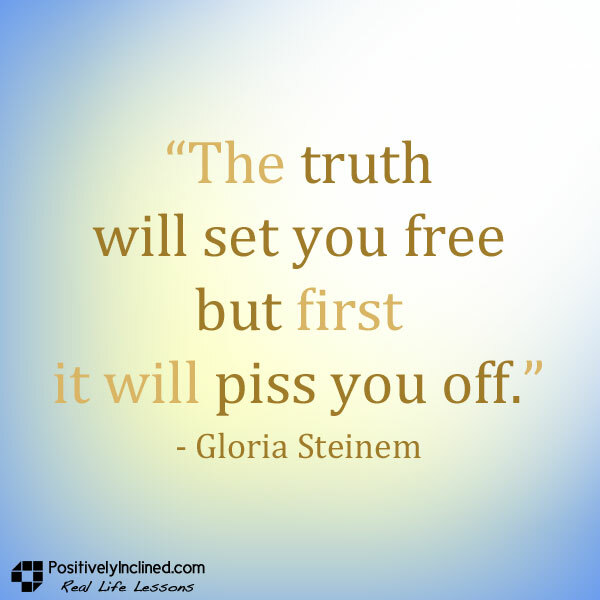 Sometimes they are true, usually they are not. 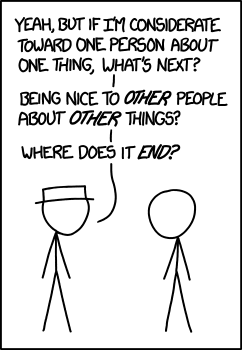 Instead of launching into some sort of slippery slope argument, I want to go straight to the source. Why is artificial birth control okay and how does that opinion lead to the potential of abuse? We recognize that having children is expensive. We observe that women will drop out of school or the workforce to have children. Society (and the women themselves) want women to stay in school or the workforce. To change school and the workforce to be more mother-friendly would take a lot more effort than just taking a pill or injecting a drug or device. So women have and take the option of taking artificial birth control. Now, what about people who are invested in these women? No man or woman is an island. We all exist dependent upon everyone else. Shouldn’t those who have an invested interest in the women have a say in a woman’s use of birth control? Our answer to that question can lead to the abuse of an already unnatural and morally problematic situation. Why do we have to disrespect a woman’s body by controlling the amazing ability to bring forth new life? Why do we have to disrespect the sexual act by sterilizing it? Why does a pregnant woman have to drop out of school or quit her job? Earlier this week, the US Supreme Court heard a case of a pregnant woman who was discriminated against when she requested to go on light duty. I look forward to hearing the results of this case. 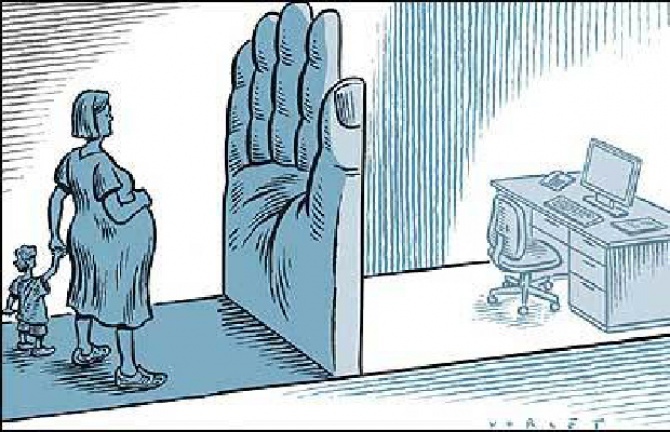 Pregnancy discrimination is a vile injustice that does nothing but further encourage abortions and put women in poverty. Just as a pregnant woman shouldn’t be forced to choose between her child and an education and career, a fertile woman shouldn’t be forced to chemically sterilize herself in order to pursue an education or career. I think that most people, regardless of their views on abortion or birth control, would agree with that. 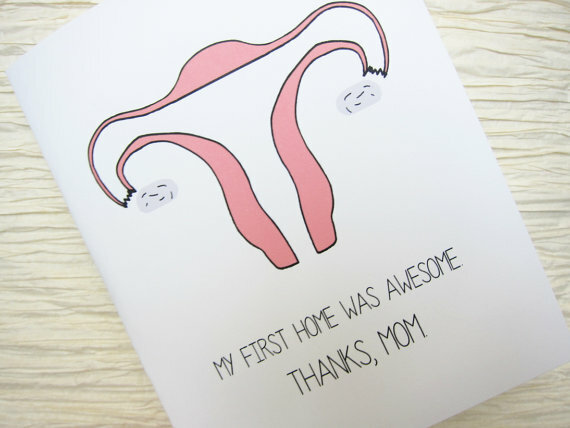 An actual card available on Etsy. Uteri are pretty awesome!